Our friendly staff will help you choose the bed that's right for you. East Side Beach offers a clean, friendly atmosphere with many different levels of tanning. We also have the VersaSpa Spray booth and the newest in light therapy the "Rejuvasun with Omnilux". Custom Airbrush Tanning Now Available! 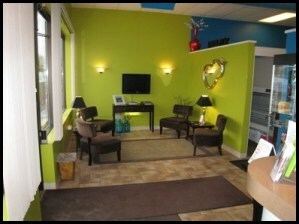 Whether you are planning a vacation in the sun or just want to look your best stop in and visit our salon. We are confident you will find our salon will meet your tanning needs.